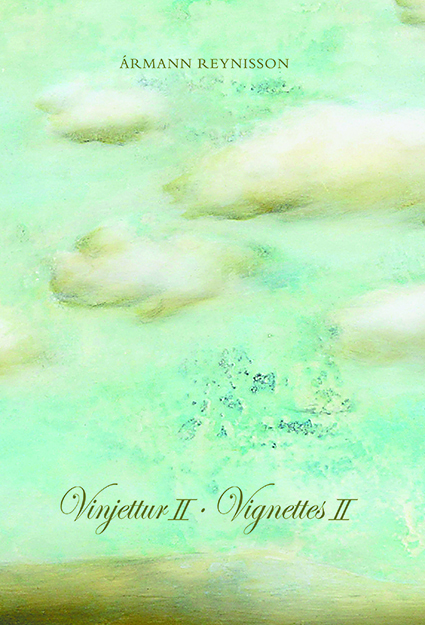 A few of the stories in Vignettes XVII have a national flavour while others come from contemporary daily life. The thirteen Yule Lads marry Yule Women while elves, trolls and hidden people creep into a few vignettes here and there. There are stories connected to South-Eastern Iceland, but also to Skagafjörður and Tröllaskagi where we find the home of the Yule Lads and their Yule Women. 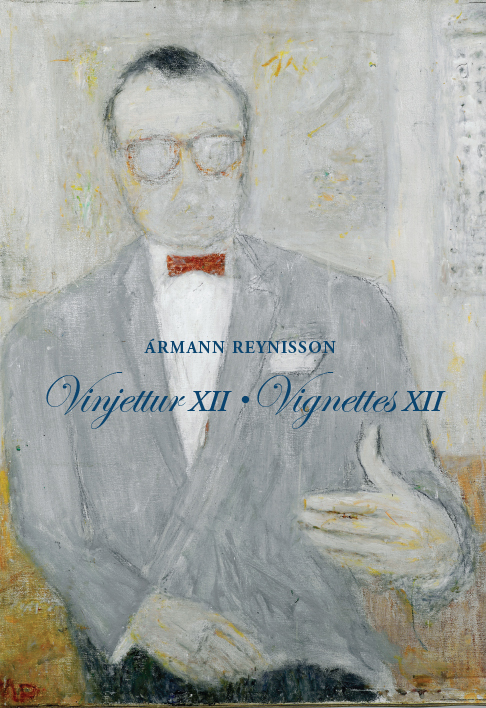 Portrait stories can also be found of interesting contemporary people who Ármann Reynisson has met on life’s journey. They are a varied group of people who carry out both practical and spiritual jobs and make their mark on their occupations and Icelandic society. All brought beautifully together with the unique style of the author who is both concise yet poetic, realistic and inspirational. The vignettes are ideal for reading aloud at many an occasion. Sverrir is naturally open and lively but ill tempered if he gets offended and is enraged by injustice – a socialist through and through. He personally meets influential people all over the world, among them Simon Wisenthal of the organisation of the same name as well as Fidel Castro, the leader of Cuba. 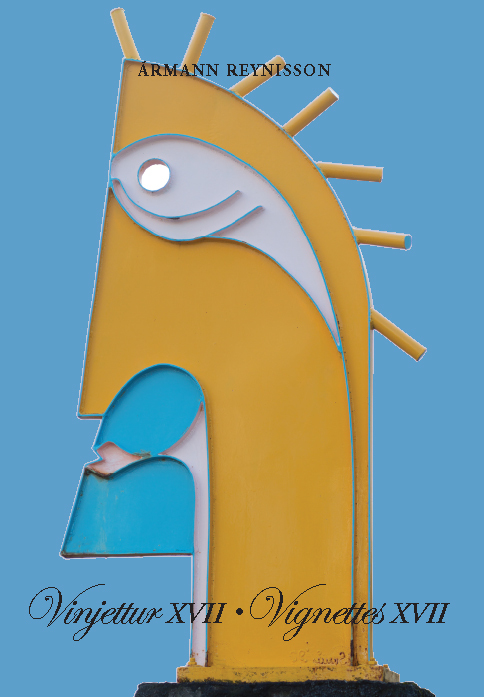 The artist falls in love with Latin America and it is there that his friendship with Maestro Sebastians, the leading Mexican sculptor, grows to new heights. The result of their collaboration can be seen in the International Sculpture Park in Hafnarfjörður. For a long time, the crime novel was not considered to be real literature, cultural elites taking a dim view of their authors and their work thought of like vulgar paper. At the same time as interest in religion declines, violence increases and a wave of terrorism reeks over countries and nations and the crime novel rises to the fore. Crime fiction clubs are founded and awards are given out for the best crime novel of the year. Literary critics begin praising the genius of the crime novel formula while sniggering in between and advertising campaigns for the latest crime novel become more voluminous with each passing year. A large group of writers dedicate themselves to the art form since crime novels sell like hotcakes.There is fighting over getting the writers into the media spotlight to read their work aloud. Dyrhólaey is the meeting place for the hidden people of this quarter of the country and it is here that they gather together for the autumn and spring equinoxes. They hold a national festival celebrating the changing of the seasons with dancing, singing and games. There is a certain abstinence observed as always among the hidden people, of course there are no liquor stores to be found in the world of the hidden people. During the celebrations, parliament is held and bones of contention are aired, as well as discussing the country and its needs. At the end of the festival, the hidden people walk or ride happily back to their various homes spread far and wide across the country. 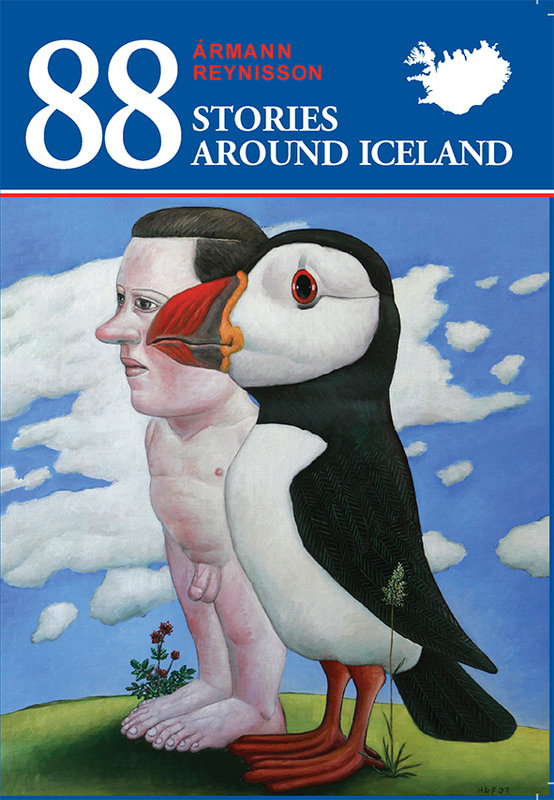 The hapless workingwoman runs up to the glacier of Katla and forms into a volcano, later called Katla, and rules over Mýrdalsjökull glacier like a Queen – much to the enjoyment of passers-by. Ever since, Katla has reminded people she is there every century and has kept the inhabitants of Álftaver on their toes. But has not until this day managed to carry out her threat. Unexpectedly, the front door at Klettaborgir opens and an elderly, hunched over, bearded man by the name of Kolbeinn appears and comes out to say hello. Kolli, as he is commonly called, invites the people in for coffee and a chat. Everything is old-fashioned, organised chaos with dusty piles of paper here and there. In the kitchen, the utensils are all over the place like a bomb has gone off. It comes as no surprise that Tröllaskagi, a labyrinth within, is the home of the thirteen Yule Lads and their parents Grýla and Leppalúði. Living quarters are large and tunnels lie between them. Each inhabitant has his own room with a washing basin and a chamber pot under the bed. The cave is without heat and electricity but a gigantic dripping candle lights things up and provides a little warmth. As a result the family wears thick woollen clothing, hats upon their heads, scarves wrapped around their necks, mittens on their hands and shoes made from sheep skins adorning their feet. In the kitchen, Grýla’s territory, the stone stoves are fair with large pots and pans for cooking. They eat at a huge table made from driftwood where there is a fire burning all year long and further in, Leppalúði has a room for forging with bellows, an anvil and other tools. Up through the mountain range is a large chimney where smoke rises up to the sky. Food is collected at sea and on the land and is prepared according to ancient traditions. Their pet is the terrible, black Christmas cat – sly as the fox himself. Their high season is the thirteen days before and after Christmas Day.